Set in an impressive Georgian manor, the oldest part of this accommodation dates back to 1726. Much of the original character of this Grade II listed building has been retained, presenting guests with an interior of grandeur, elegance and comfort, and making the property one of the finest in Richmond. The property was renovated in 2008 and comprises a total of 149 guest rooms. Facilities on offer include air conditioning, a lobby with 24-hour reception and check-out service, lift access, a bar, conference facilities and room and laundry facilities. There is ample parking for those arriving by car. The Richmond Hill Hotel is a Tourist hotel. Located in London area. Shopping is within walking distance and the nightlife/restaurants are located in the hotel. Descriptionclass="small" style="text-align: justify; font-size:11px;">Set in an impressive Georgian manor, the oldest part of this accommodation dates back to 1726. 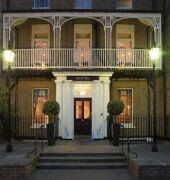 Much of the original character of this Grade II listed building has been retained, presenting guests with an interior of grandeur, elegance and comfort, and making the property one of the finest in Richmond. The property was renovated in 2008 and comprises a total of 149 guest rooms. 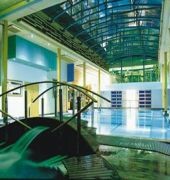 Facilities on offer include air conditioning, a lobby with 24-hour reception and check-out service, lift access, a bar, conference facilities and room and laundry facilities. There is ample parking for those arriving by car. We stayed here as a family of three. The room had a double and single bed. The room was at the back of the property and was quiet. The bed and pillows were very comfortable and we slept well. The room is basic but clean, renovated and has everything we needed. Breakfast was very good and the dining room and sitting area are lovely. Free parking was a plus. 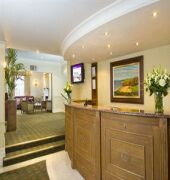 The reception staff were very helpful and friendly. The location in Richmond is fantastic too. Short walk to Swan street trams and trains, cafes and restaurants. We would definitely stay here again. My wife and I stayed here on two separate occasions during March 2019, we both found the hotel to be very accommodating, with staff eager to assist in making your stay as welcome as possible. We both enjoyed the outside seating area and were delighted to discover that a wide variety of teas and coffees were available at no additional cost throughout the day. 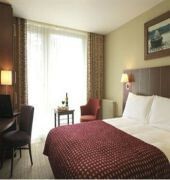 Although the rooms were small, they were cosy and comfortable. 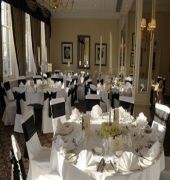 The Richmond Hill Hotel is A Beautiful Old Hotel Modernised Just Right Situated just outside Richmond park. We had a big birthday bash at the hotel the rooms first class all mod cons & the hall was excellent along with the service & the Set meal a fantastic night out. Breakfast room requires expansion to neighboring room as well as was heaving but had a great choice of food if a little cold. Booked a one night stay with a view to catch up with my sister, take a break and see the stags. We were allocated a basement Georgian deluxe room with a poor view and a significant draft blowing through the fire door. That said, the bathroom was beautiful and as advertised, with the main bedroom area clean and comfortable. Unfortunately, on arrival I became ill and could not undertake the full intended experience as planned. The restaurant staff were brilliant! I received a tray of tea, water and biscuits and the attentiveness was very much appreciated. I would like to revisit, however, I would request a higher level room.